I was given this book at a recent Firestation Book Swap. The swapper was a Finnish lady who kindly provided me with two pages of notes detailing all the errors in the book and her own corrections. The Finnish language gets a bit of a rough time in the book, apparently, with flagrant disregard of the use of accents. Kaakko is claimed to be another word for East. It actually means South East. The word 'mass' is used to describe a church service, not a word a Finnish Lutheran would use. Also, Finns wouldn't use the word Father to refer to Father Koskela, they would say 'pastor'. And loads of others. She loved the book though, just thought there were lots of sloppy errors! Interesting. Marani is Italian of course rather than a Finn himself so I think I'll allow him the odd mistake, particularly with such a complex language, but I also guess that a book about language could have done with a better eye on that side of things (maybe your bookswapper!) It's a fab book though Scott, I hope you read and enjoy it. I shall keep an eye on your sidebars! Lezard is one of the very few newspaper reviewers I still pay attention to. I own this and it's on my absolute must read list. It sounds fantastic. Nice review too. 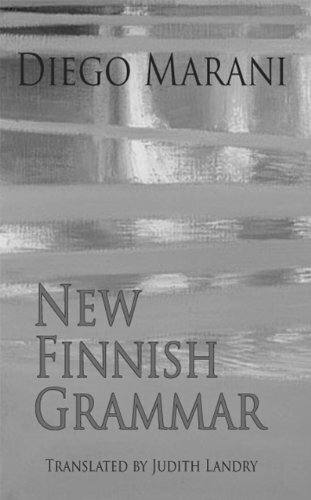 I'm actually quite excited about this book, dodgy Finnish notwithstanding. Dedalus are a great little publishing house. They do some very interesting stuff and don't get quite the attention for it that they should. Glad to hear you'll both be reading this, Stu and Max. It's a cracking book and almost certain to feature on my books of the year list. I shall also have a look other Dedalus titles, any you'd recommend Max?